Pack of 6 Plants, superb bushy plants. High Quality Plants already growing away nicely in pots, supplied covered in flower buds/bloom as pictured in season, fantastically fragrant and a magnet for butterflies and bees. Really superb plants. 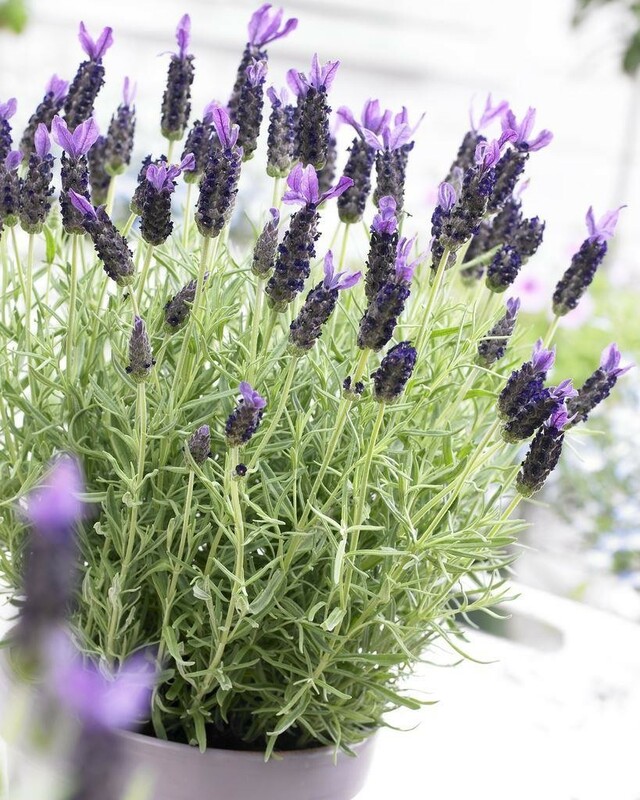 French Lavender - Lavendula stoechas Midnight Purple - Hardy Butterfly Lavender Plants create living aromatherapy in your garden, you could not do much better than getting some of this gorgeous French 'Midnight Purple' Butterfly Lavender in to your garden. With this plant, you could start producing your very own pot-pourri at home! 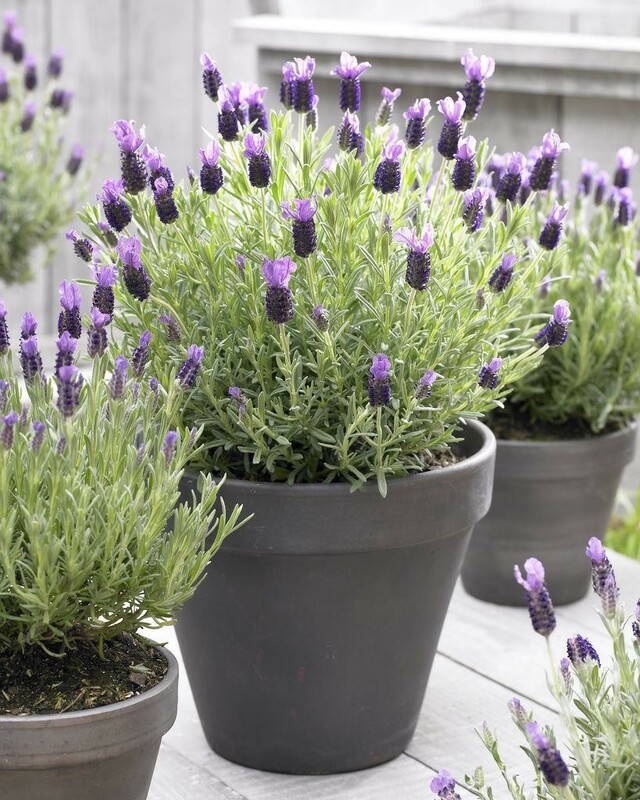 Perfect for fragrant path edges, patio planters and borders, this plant will thrive in full sun and well drained soil, it will even forgive you if you forget to water it occasionally. Pack of 6 high quality bushy plants bursting in to bloom in season in approx 1-2 litre containers. Out of season, you will receive stocky trimmed back plants, ready to burst in to growth and flower when the weather breaks.